A total of £21m is to be spent on primary school projects, the Scottish government has announced. The money will be spent on construction and refurbishment in Dundee, East Renfrewshire and Argyll and Bute. St Luke's and St Matthew's Primary School and St Vincent's Primary School in Dundee will be replaced by a new joint primary school campus with Longhaugh Primary School. 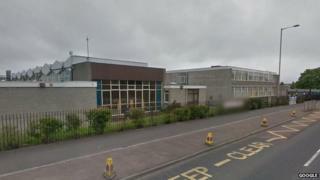 Crookfur Primary School in East Renfrewshire will be extended. In Argyll and Bute, Dunoon Primary School will be fully refurbished to retain its listed building status. The investment is part of the Scottish government's £1.8bn Scotland's Schools for the Future programme. Education Secretary Angela Constance said: "These latest exciting new school projects will provide fantastic, modern environments for thousands of young people to learn in and will be enjoyed by generations to come. "Providing high-quality learning is at the heart of the Scottish government's work and as part of this, we are committed to delivering well-designed, sustainable schools through our Scotland's Schools for the Future programme. "On top of the educational benefits, these new modern school buildings will also provide amenities for the wider community to enjoy and will boost the local economies, creating apprenticeship opportunities for young people and construction jobs across the country. "I look forward to visiting all of these new schools when they are completed." Larry Flanagan, general secretary of teachers' union the Educational Institute of Scotland (EIS), said, "The investment of £21m to support primary school refurbishment and the delivery of new school buildings is a very welcome step. "Following many years of under-investment in Scotland's school estate, we have seen a substantial and successful programme of school building and refurbishment in recent years. "While there is much work still to be done to ensure that all pupils and teachers are working in up-to-date, modern buildings that provide a sound environment for learning and teaching, it is a positive sign that the Scottish government is continuing its investment in the school building programme." Liz Smith, the Scottish Conservatives' spokeswoman for young people, said: "Brand new schools are welcome but if the SNP thinks this is the main focus for raising attainment and delivering better choice for parents then they are fooling no one. "It is vitally important that the new campus developments do not detract from the real issues in Scottish education, all of which are about far more than the quality of the school estate."